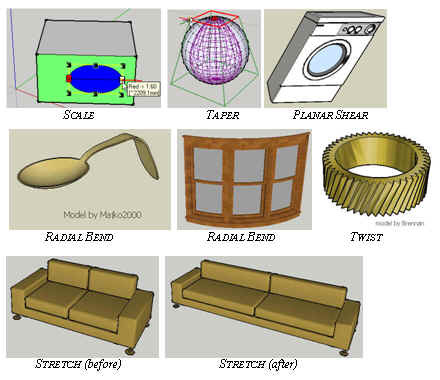 While SketchUp tools are pretty much sufficient for work, there are several plugins that can greatly help you. Now let's get see the plugins. Excellently executed plugin, allowing you to round, sharpen and bevel edges of any configuration and complexity. Detailed documentation and intuitive interface. Greatly helps in modeling workflow, both when working on optimization (e.g. chamfering edges to reduce smoothing groups count) or on complex props (e.g. various machinery with complicated metal parts). Another great tool. The .gif is self-explanatory - it is extending the well-know Push/Pull tool functionality, so that the same operation can be performed with multiple surfaces at once, and, practically, with a surface of almost any configuration. Very useful for architecture, e.g. 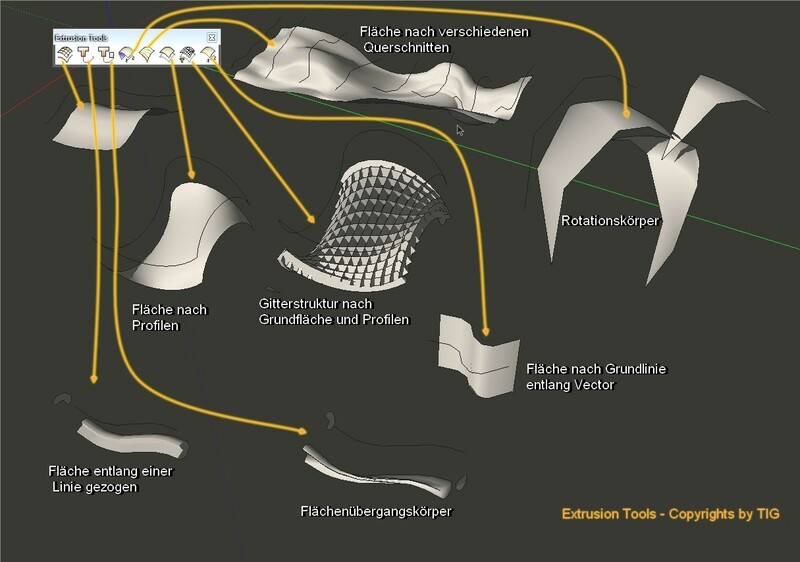 for creating volumetric solids curved in multiple axes or building elements extruded along the walls. The .gif is self-explanatory. The plugin can be very helpful for working with deformed/destructed objects and complicated surfaces. A simple but really handy tool that triangulates the selected area of the mesh. 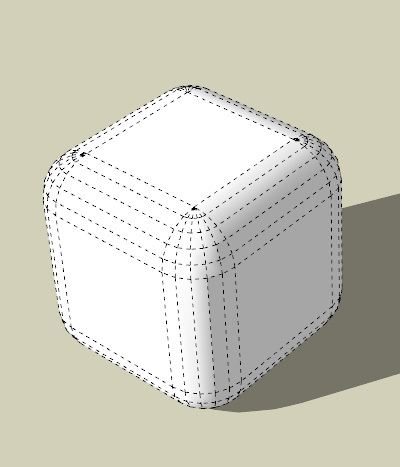 As you know, you're working with non-triangulated geometry in SketchUp, but sometimes it's needed to look at the triangulation structure to check it, or even to manually set the proper triangulation in some problematic areas prior to the export process. Also, even though it is not actual for PlayUp users (errors are fixed in it's own pipeline), 3ds Max users can find it helpful: fully triangulating your model with this plugin prior to export is fixing all invalid faces your model may contain. 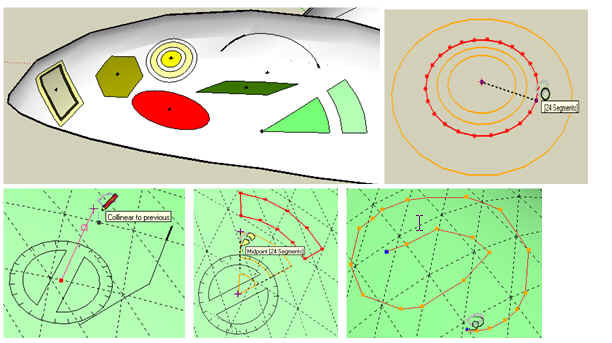 BezierSpline draws a variety of Polylines, Bezier and Spline curves, all in 3D. All curves are based on a sequence of control points, which is entered by the user in interactive mode. Handy when you need something more complex than default SketchUp circular curves. This plugin does it best at optimize and clean up a model. 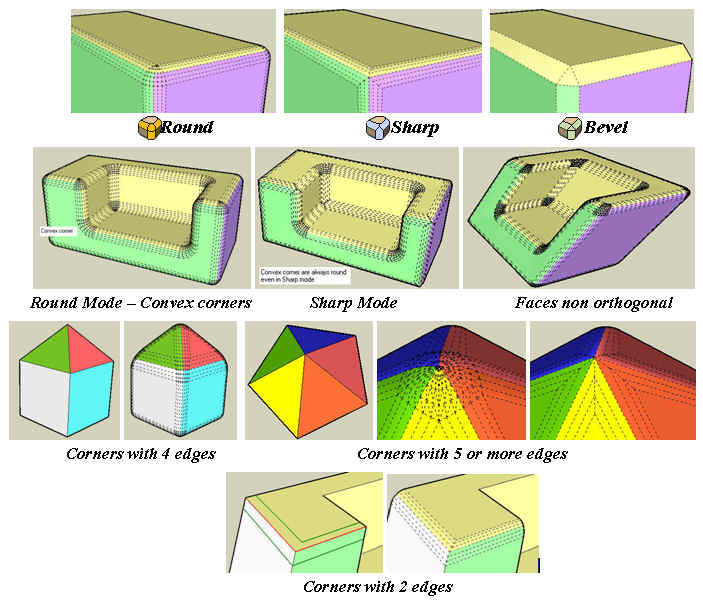 Features include fixing of duplicate component definition names, purging of unused items, erasing of hidden geometry, duplicate faces, lonely edges, removal of edge materials, repair of split edges, relocating geometry to Layer0 and merging of identical materials & connected co-planar faces. Powerful transformation tool that can be used with FredoScale. Set of sculpting tools that can be used where the usual Sandbox toolset isn't powerful enough. Includes Bulge, Push, Smooth and Smudge, along with Planar Lock. Stability of work on latest SU versions is not confirmed. This script will bend an existing group to match a curved line or series of connected lines. Can be useful for modeling of some geometry, e.g. serpentine roads. Enhancement for Follow Me tool that is preserving the orientation of profile on 3d paths. Useful for some cases of spline-based modeling. A powerful set of Extrude tools with various output. Useful for work with curved surfaces. Beta version of a very promising plugin with basic UV mapping functionality, and, most importantly, UV Bridge feature that's allowing you to export certain geometry to external software (e.g. 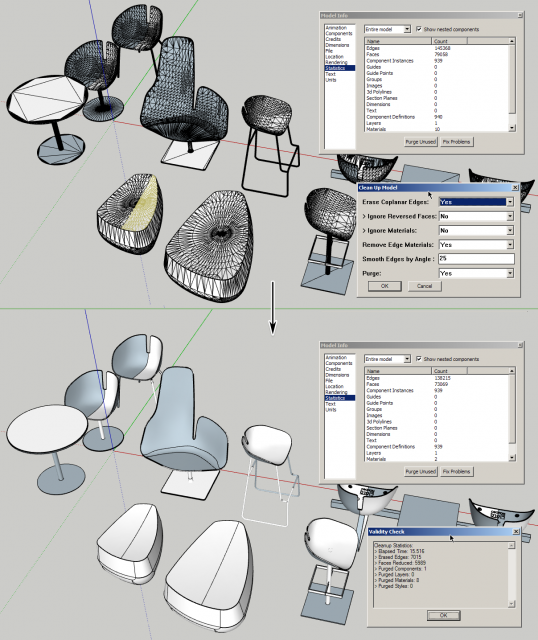 3ds Max or UVLayout), create complicated mapping layout there, and then import it back into your SU model. Helps to create faces perpendicular to the end of lines, can come in handy when working with complex irregularly oriented surfaces that require reference plane; or in cases when complicated rotation orientation is required. 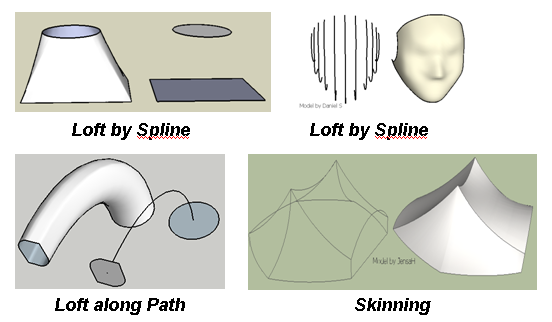 Loft by Spline joins separate contours, open or closed, by smooth splines; Loft along Path joins contours, along a given rail curve; and Skinning create surfaces bounded by 4 or 3 contiguous contours. Very powerful tool, the best for closing any hole in any model or for spline skinning. And, of course, PlayUp Tools.